Our favorite time of year is upon us! SDSU is back making a run to return to the NCAA Tournament and win the Mountain West, turning some heads in college basketball, AND we are playing some fiddle rock shows! 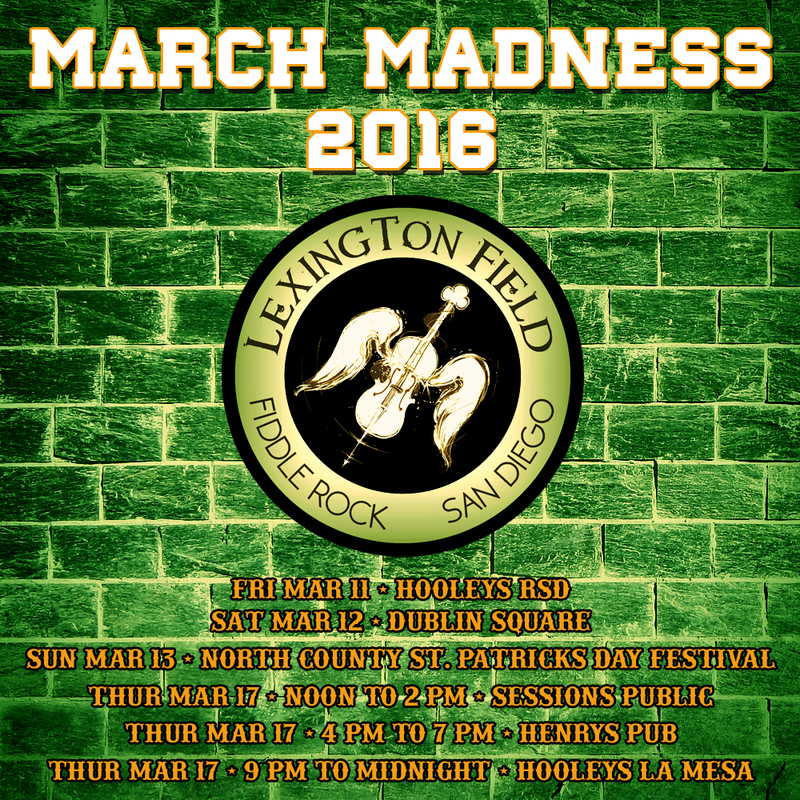 The “madness” starts TONIGHT as we return to where it all started, Hooley’s in Rancho San Diego on Friday. Then, we make another return show on Saturday to Dublin Square in downtown San Diego. Finally, we close the weekend out in Vista at the North County Irish Festival on Sunday (the same place we met Olivia two years ago). So, that is the first half of the shows. The second half comes on Thursday, March 17 – ST. PATRICK’S DAY!!! We open things up in Point Loma at Noon to play Sessions Public. Then, we cruise back downtown to play Henry’s Pub at 4 PM. We close the night out with the big Grand Finale at Hooleyfest at Hooley’s Grossmont Center! That is SIX shows in one week and it is about time we all got down with some Guinness and fiddle rock! See you at the shows and GO AZTECS!